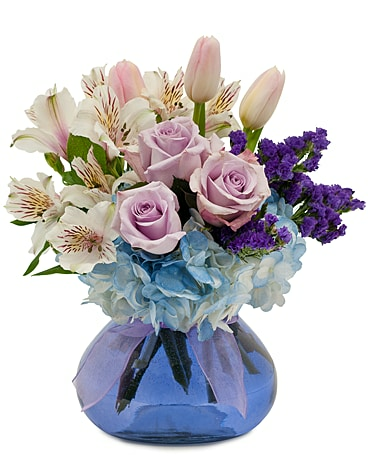 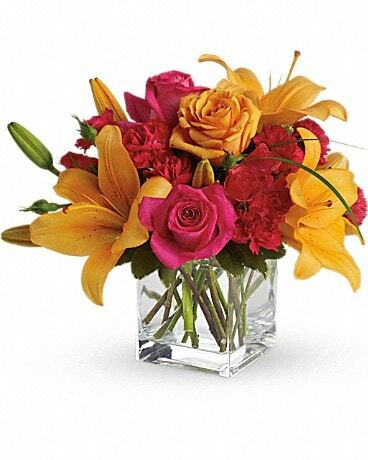 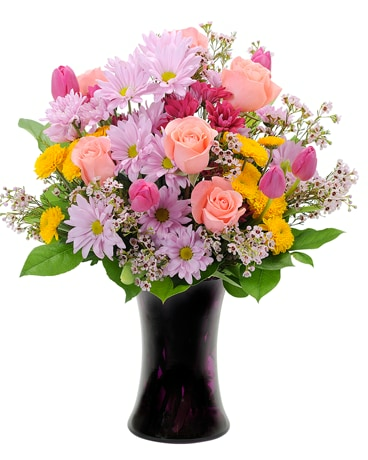 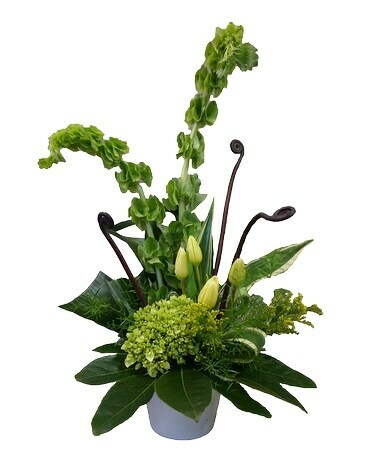 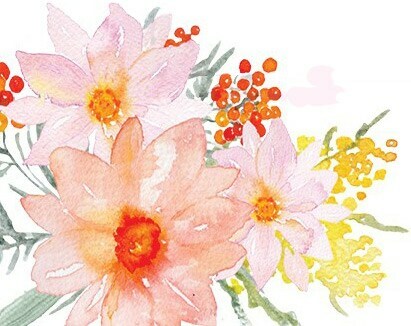 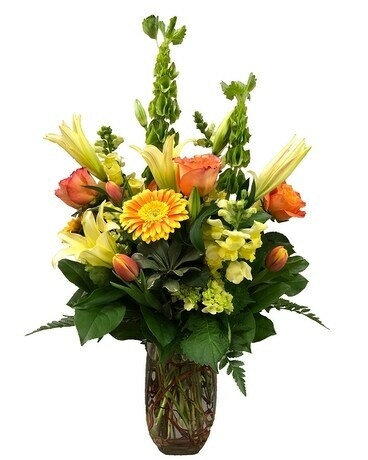 A fresh mixture of gerbs, roses, lilies, tulips, hydrangea, accented with bells of Ireland in a glass vase. 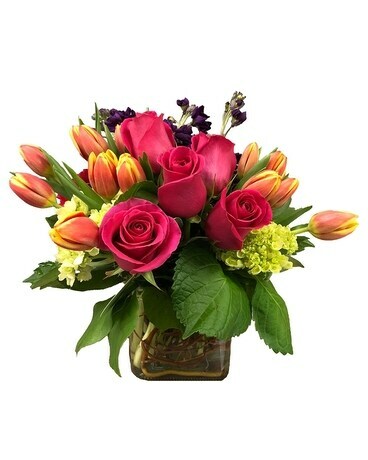 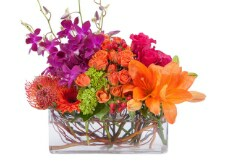 Our Spring Elegance arrangement is a colorful blend of tulips, roses, hydrangea, and carnation in a glass cube. 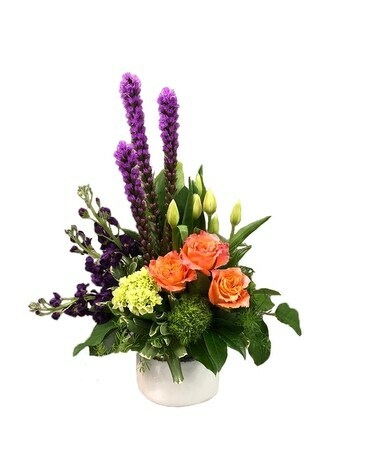 Breathe in the spring with this fresh arrangement! 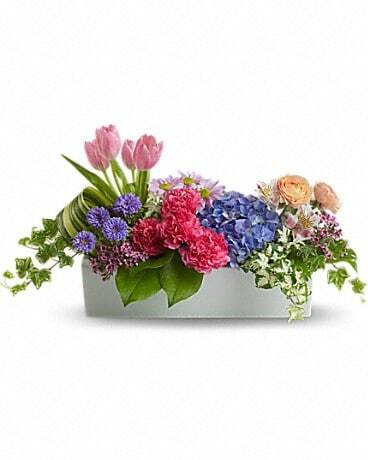 Featuring tulips, roses, hydrangea, and liatris in a classy white ceramic keepsake container, this arrangement is sure to brighten anyone's day.